In early December, New Hampshire’s Dairy Farmers Task Force voted 5-1 to propose a dairy producer relief program during the 2017 legislative session. 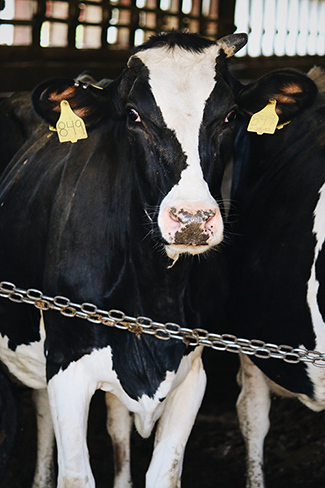 The bill, which is expected to be expedited, stipulates no specific funding amount or how the money will be allocated among the state’s 115 dairy farms. Those points, according to an article in the Concord Monitor, will be determined during the legislative process. But one legislator — Republican Rep. Neal Kurk — has questioned whether a one-time relief fund will solve the larger problem of federally regulated milk prices, which is plaguing dairy farmers nationally. The Federal Milk Marketing Orders (FMMO) were enacted by the federal government as a result of the Great Depression. A set of regulations aimed at supporting orderly marketing conditions for milk, the FMMO are still being used today to set the prices for all U.S. dairy farmers across the country. As such, the dairy industry is unique from other agricultural industries in that it is not an unrestricted free market industry. According to Dot Perkins, UNH Cooperative Extension food and agriculture field specialist, the milk prices set by the federal government don’t work well for New Hampshire’s dairy farmers. Perkins explains that farmers’ challenges have been intensified by the drought, which has led to forage shortages. In many areas, dairy farms that would normally grow all their own forage must buy instead, adding to the cost of production. According to a survey of drought-related forage losses completed by Cooperative Extension dairy specialist Michal Lunak, the losses in the seven most affected New Hampshire counties range from $20,000 to $120,000 per farm. Unlike some other dairy producing states, New Hampshire doesn’t provide regular assistance to dairy farmers. New Hampshire’s legislature passed the Milk Producers Emergency Relief Fund in 2007, but no money has been allocated to the fund since its establishment. Although the proposed legislation won’t bring New Hampshire’s dairy farmers any monetary relief in 2016, Perkins is adamant that it’s still needed.